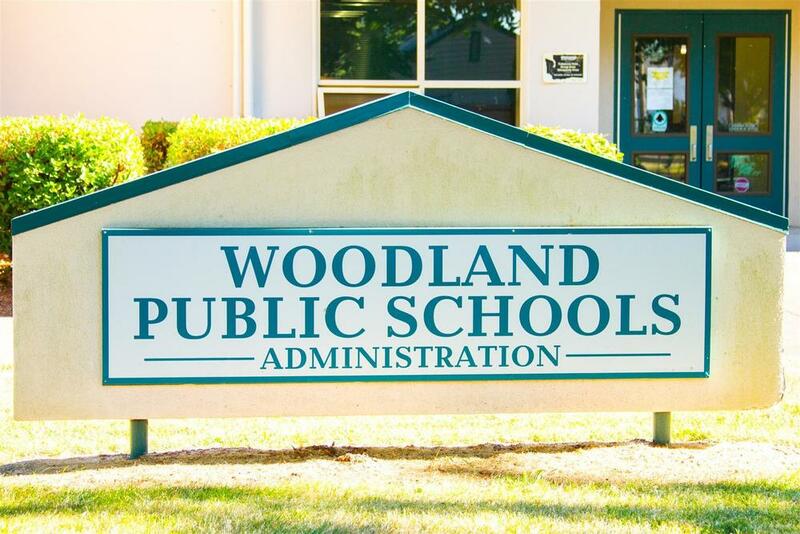 The district facility team removed the Pin Oak trees on the north side of the Woodland Middle School campus today (Thursday, July 26, 2018) as part of a three-year program started last year to continue the district’s priority of ensuring the safety of students and community members. Beginning last year, old trees were removed due to large limbs which started breaking off, creating a hazard to our students and the community. The trees’ root systems lifted sidewalks and blacktop areas, creating trip hazards. Additionally, the facility team will perform extensive pruning and additional limb work to prevent risk from falling limbs of other trees. Following the removal of old trees, their stumps are ground down to accommodate new trees. For example, the Pin Oak trees removed today will be replaced by Celebration Maples. During the 2018-19 school year, the facility team will remove alternating old trees that present safety hazards. The Celebration Maples will be planted, and once their root systems have stabilized, the remainder of the old trees will be removed with new maples planted in their place. The first round of new Celebration Maples will be planted this fall.